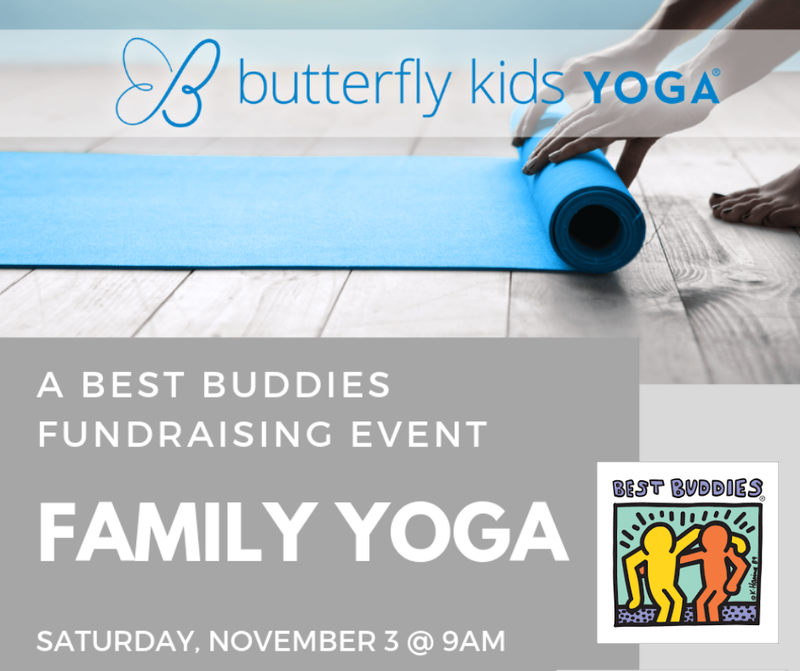 Please join us on Saturday, 11/3 for a free Family Yoga class to help support Best Buddies of Rochester and a local family, the Bergholtz's, as they work to support this great organization. Learn more. Many athletes like to come to yoga with a friend or teammate. So this month, bring a friend to Yoga for Athletes and both you AND your friend get 50% off your pass. (So, just $9 / pass!) Applies to Sunday 4pm (ages 8-13) and Sunday 5pm (Adult / Teen) classes. Enroll here and pay at the door to receive your special rate. See “Sunday” classes on the schedule. These are just two of the ways we will be giving back this month. To you. To our community. And there will be more to come! I’m excited for the month ahead, and as always, I thank YOU for being a part of it all. Drop in class for the littles @ M/Body. Enroll here. Pair with an M/Body Barre class for yourself! Enroll here. Drop in kids class @ East Side Wellness Center studio. Pair with a Restorative Yoga class for yourself! Enroll here. Drop in adult class @ East Side Wellness Center studio. Enjoy a refreshing Restorative Yoga class with Ellen. Enroll here. New session begins at Victor Rec Center. 11/1 - 12/20 (6 weeks). Enroll here. New session begins at Perinton Rec Center. 11/2 - 12/21 (6 weeks). Enroll here. Come out for a healthy family morning together in Pittsford, NY! All donations support the Bergholtz family’s fundraising efforts for the Best Buddies organization. Learn more. Increase flexibility, strengthen, breathe and compliment athletic training. 50% on the mat, 50% on turf. Take advantage of our “Bring a Friend” deal — come with a friend and receive 50% off your passes. Enroll here for ages 8-13. Enroll here for Adult / Teen. Simply enroll, bring a friend, and pay at the door. Awesome first “Yoga + Workshop” this weekend with Butterfly Kids Yoga and Whole Person Wellness! We kicked off our new workshop series with Yoga + Vision Board Crafting for Tweens. Thank you to everyone who came. Be on the lookout for more Yoga + Workshops soon!